Rhinoplasty is a surgical procedure that alters the external bone and cartilage skeleton of the nose to straighten it or change its appearance. Rhinoplasty (or ‘nose job’) involves operating on the cartilage and bones that give your nose its shape. Sometimes a rhinoplasty procedure is performed to improve the way you breathe through your nose. Realistic expectations need to be held about rhinoplasty results. While surgery is usually effective and safe, complications can happen. It’s important to make a well-informed decision about your rhinoplasty operation. Why should you consider rhinoplasty? Visually, the nose is the centrepiece of your face and influences your appearance. Functionally, it is very important. Many people experience dissatisfaction with their nose, in terms of its effectiveness for breathing, its appearance - or both. Just as everyone’s face is unique, so is their nose. Some anatomic characteristics of the nose are possible to change, and others are not. Nose problems may stem from an injury, be inherited, or arise from many other conditions. By assessing your nose in relation to other facial features, your Plastic Surgeon can plan specific modifications to improve its appearance and/or function. They will spend considerable time and effort during the consultation process discussing which nasal features you like and dislike, and what changes may be possible. It is very important that you and the Plastic Surgeon understand and agree upon the aims of the rhinoplasty operation. Well informed patients, good communication and clear surgical plans are the keys to success for patients having a nose job. During the consultation you may be shown various visual aids to help you understand the procedure and likely result. These include anatomic diagrams, intraoperative pictures and computer imaging. It is also useful to bring in pictures of noses you find appealing. To understand rhinoplasty, it’s essential to understand the various parts of the nose. The nose is made of a thin shell of bone and cartilage. A sheet of muscle and skin covers it and it’s lined by moist skin, called mucosa. Inside the nose, a sheet of cartilage going from front to back separates the left and right nostrils into two separate airways. This sheet is called the septum. The septum is covered by mucosa on both sides and is normally straight and flat. On the outside, the upper two thirds of the nose are like a half cylinder, the top half of which is bone and the lower half made of cartilage. The upper section is called the bony vault. The middle section is called either the upper cartilage area, or the middle vault - they are the same thing. The tip is the lower third of the nose and is separate to the bony and middle vault. It's two upside down U-shaped cartilages sitting next to each other, so that from the base of the nose looking up, they look like a letter M.
The left and right sides of the tip going down to the cheek are the lower nostrils, called the alar region. The central lower portion, the strip of flesh between the nostrils, is called the columella. The turbinates are fleshy structures inside the nose attached to the inner side walls. Turbinates moisten the air inside the nose. Each of the nose structures varies greatly in shape between different people. They are often not symmetrical, with one side having a different shape to the other side. What are the different types of nose operations? Rhinoplasty: Performed if the nose is straight and there is no breathing problem, and a shape change only is desired. Septorhinoplasty: Performed if the nose is crooked from the front view, and a shape change is desired, or if the crookedness (deviation) of the septum is both blocking the nose and is making the nose crooked in external appearance. Septoplasty: Performed on its own, internally, without any rhinoplasty if the septum is crooked and blocking the nasal airway but the nose is straight on the outside and does not need a shape change. Turbinectomy: The turbinates are trimmed to make more room for air to improve breathing. A Turbinectomy has nothing to do with the external shape of the nose. Sinus surgery: An operation to open up and allow the sinuses to drain better. Sinus surgery has nothing to do with the external shape of the nose. Open Rhinoplasty: Is a rhinoplasty technique where the surgeon elects to elevate the nasal skin in order to see the nasal skeleton during the surgery. This involves making an incision inside each nostril, joined by an incision externally across the columella (the thin bridge of tissue at the bottom of the nose between the nostrils). Closed Rhinoplasty: Is a rhinoplasty technique where the surgeon elects to make all the nasal shape changes via incisions inside the nose, with no external incisions. Would you be suitable for rhinoplasty surgery? 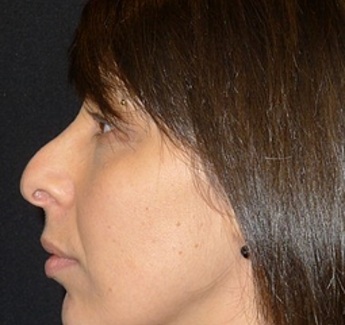 Most people considering rhinoplasty would prefer a smaller nose with a better shape. Some people want a straighter nose, while others even want a larger nose. Your nose may have just grown into a size or shape you are unhappy with, or it may have been damaged. A crooked or damaged nose can sometimes make one side feel blocked. During the consultation, your Plastic Surgeon will carry out a detailed assessment of the inside and outside of your nose. They will take photos for your medical records and use them to agree the size and shape you want. You will also be asked about what you and others think about your nose and if this affects your self-confidence. What happens during the rhinoplasty operation? 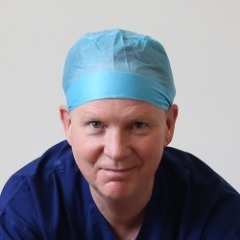 Rhinoplasty surgery is performed either open or closed, almost always under a general anaesthetic. Once the skin is elevated from the skeleton (the bone and cartilage), the surgeon will perform a series of planned tasks designed to alter the shape of the nose, and if necessary improve the airway and crookedness. Cartilage grafting - spreader grafts, tip grafts, dorsal grafts, columellar grafts, rim grafts, batten grafts. Once all the tasks are done in order to alter the shape to the agreed plan, the incisions are closed, and the operation is complete. While this sounds pretty straightforward, every one of those tasks is different in every nose, and each can be tricky sometimes, when trying to change the existing shape to a new shape. Usually an external splint is put on at the end and sometimes internal splints or packs are used on the inside. An absorbent gauze or bolster is placed under the nose, as it often bleeds a little postoperatively for a few hours, or even a day or two. The surgery usually takes from two to three hours, but depending on the complexity, the surgery can be shorter or longer than this. Some patients return home on the day of surgery, while others stay in hospital overnight. Discomfort on the first day is expected but is generally not severe and decreases quickly. On discharge, you will be advised to restrict your diet to liquids initially, commencing food when any nausea abates. Small amounts of fluid, which may be bloodstained at first, will continue to drain for three days or more. At home, set yourself up in a comfortable chair, couch or bed, with your head elevated. If bleeding occurs following surgery sitting quietly with ice packs on your cheeks can control it. If the bleeding is persistent or it seems severe, you should contact your Plastic Surgeon immediately. Facial bruising is normal after rhinoplasty. While the extent of bruising will vary for each person, it usually fades within 14 days. Most rhinoplasty patients take two weeks off work – this will depend on your occupation. Heavy exercise should be avoided for three weeks following surgery. Bending, stooping or heavy lifting may cause postoperative bleeding. Driving can be resumed once you are comfortable, can react quickly if necessary, are not taking strong painkillers and can see normally. This usually takes five to seven days. When will you see the rhinoplasty results? You will see a noticeable change even through the splint and tapes. The nose will look different immediately after the surgery. Whilst most of the swelling will disappear within two months, the actual healing process takes a full year. Patience is needed, as it will take time to see the final result. Parts of the nose will feel numb and it may take several months for normal sensation to return, with the tip taking longer than the rest. Some sensation of the nasal skin is reduced, which may feel disconcerting for a while. Are there risks or complications with rhinoplasty operations? Any surgical operation brings complications of anaesthesia. Your anaesthetist will be able to discuss with you the possible complications of having an anaesthetic. While your Plastic Surgeon and healthcare team will do everything possible to make your rhinoplasty operation safe, complications are possible. At your consultation, your Plastic Surgeon will advise if risks of complications are higher or lower for you. Pain. Your healthcare team will give you medication to control the pain. To reduce discomfort and prevent headaches, it’s important that you take the medication. Bleeding during or after the operation. You may need to have your nose repacked with a firmer pack or have a pack in the back of your nose (risk: less than 1 in 100). If the bleeding is heavy, you may need a blood transfusion. Infection of the surgical site (wound). Let your surgeon know if your nose bleeds or if the skin over your nose becomes red, swells or is tender. An infection usually settles with antibiotics but you may need another operation. What can I do to help make the rhinoplasty operation a success? If you smoke, stopping smoking several weeks or more before the operation may reduce your risk of developing complications and will improve your long-term health. Smoking stops your nose clearing mucus properly and this can increase the feeling of a blocked nose. Try to maintain a healthy weight. You have a higher risk of developing complications if you are overweight. Regular exercise should help to prepare you for the operation, help you to recover and improve your long-term health. Before you start exercising, ask the healthcare team or your GP for advice. You can reduce your risk of infection in a surgical wound by keeping warm around the time of the operation. Let the healthcare team know if you feel cold. Is there an alternative to rhinoplasty? Rhinoplasty is the only way to change the appearance of your nose. If you have a blocked nose because your nasal bones are crooked or damaged, or the cartilage and bone inside your nose that divides your nostrils (septum) is deviated (bent), you may be able to have a septoplasty to improve how you breathe. A rhinoplasty procedure can be performed at the same time to change the appearance of your nose. You can find the best Rhinoplasty Surgeons in Australia here. 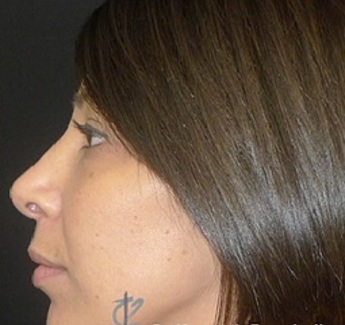 Nose reshaping is a complex surgery. It’s important to choose your Plastic Surgeon carefully. You can resume driving your car after rhinoplasty surgery between seven to 14 days if you can see and function normally and aren’t taking strong painkillers. Following your nose job, heavy exercise should be avoided for at least three to six weeks. Rhinoplasty surgery complications include bleeding that requires a return to the operating theatre, infections, prolonged swelling, nasal airway obstruction, septal perforation, shape irregularity or asymmetry. After rhinoplasty, some patients report they go through a variety of moods. As recovery progresses, and the postoperative period of swelling and bruising passes, most patients feel positive again. It’s important to have realistic expectations about rhinoplasty surgery. You may desire a specific style nose but it may look awkward on you. Good rhinoplasty outcomes have at least one thing in common — a natural appearance that is in harmony with your other facial features. Rhinoplasty surgery results are more accurate, effective and predictable than ever before. With the right combination of surgical skill and favourable tissue, rhinoplasty can produce a beautiful and natural looking nose. So you can make an informed decision, your elected surgeon will discuss the possible risks associated with nose surgery. Although the majority of patients do not experience these complications, it's important to understand how they can be managed in the event that they occur.